The Justice Department inspector general issued blistering audits in 2007 and 2008, finding, for instance, that FBI agents had used demands for information known as national security letters in many cases where they were not authorized and had employed other tools called exigent letters to quickly obtain data without proper follow-up. ... Durbin and Feingold want to tighten standards for obtaining national security letters so that the government must show some "nexus to terrorism," according to a Senate Democratic aide, heightening the current standard of showing "relevance" to a counterterrorism investigation. ... 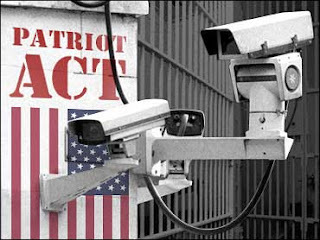 The letters "are really the most glaring problem" under the Patriot Act, said Sharon Bradford Franklin, senior counsel at the Constitution Project, a bipartisan advocacy group. Michelle Richardson, legislative counsel at the American Civil Liberties Union, said it was "refreshing" to see the administration's willingness to work with Congress. "The question is, what will the final bill look like?" The ACLU is also urging a tightening of last year's FISA Amendments Act to ensure that the government is collecting the e-mails and phone calls only of suspected terrorists. It also wants revisions of guidelines that empower FBI agents to use intrusive techniques to gather intelligence within the United States without any evidence that a target has ties to a terrorist organization.